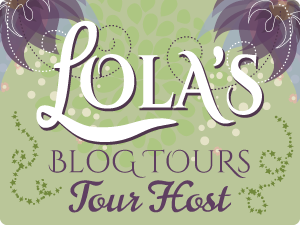 Today is my stop during the blog tour for She Laughs in Pink by Jessica Calla! I review this book, there are two teaser images and there’s a tour wide giveaway. Wow, what a sensational read! I am still reeling from my sojourn in Sheridan Hall! Jessica Calla has expertly crafted a heart-wrenching angst-filled love story that will rip you apart and then piece you back together again! I had all the feels reading this one. I love when an author delves deep into the emotional psyche of her characters and strips them raw, so we see them bare, with all their strengths and weaknesses on show (that sounds unintentionally naughty. Lol.) Jessica does this effortlessly with the first book in her Sheridan Hall series. Juliet (Jules) has been living in the shadow of her dead twin since she passed. She blames herself for her death and she has struggled to move on in her life. Her relationship with her parents is troubled, and she has come to rely heavily on her best friend, Ben. She has even followed him to college, as she is focused on convincing him that he loves her as much as she loves him. A chance encounter with Chase changes the path of her destiny. Chase has his own demons to battle. Both his parents died when he was young, and he was raised by his loving grandmother. But he went down the wrong path and now he is desperately trying to get his life back on track. The minute he spots Juliet, all his best-laid plans fall out the window. There is an instant attraction between them, but when he realizes who she is, and that she’s in love with his new roommate, he tries to do the honourable thing by backing off. But the attraction between Jules and Chase is too hard to deny, and soon they are indulging in steamy make-out sessions. There is a love triangle in this book, but I love me some love-triangle, so I lapped it right up. And boy, is it an angst-ridden ride as Juliet and Chase battle their feelings for one another and try to avoid hurting Ben. The romance was very well-written and the chemistry between our couple very believable. One of the best things about this book, beside the well-developed emotionally complex mains, are the fantastic secondary characters. A lively bunch, they have formed their own little family community in Sheridan Hall, and I LOVED that aspect of this book. It really made it stand out from other NA/college stories I’ve read. I came to care about all of them. The other thing I really loved was the fact that Jules was a ballet dancer and Chase an artist. I was both in my younger years and it resonated with me. It also appeals to my creative side in general. I like that they both supported each other with their passion. I thoroughly enjoyed the writing style, and Ms. Calla writes like a seasoned professional. It’s hard to believe this is only her second published work. The pacing was perfect, and it flowed from beat to beat, and scene to scene, with ease. I didn’t skim a single part as it was all relevant and not bogged down in unnecessary details. There is a sub-plot that comes out toward the end of the book that I didn’t see coming. I actually think that could have been interwoven a little better from the point we were first introduced to that character, as I felt it added an extra dimension to the story. A little fleshing out would have embellished this plotline; however, it didn’t in any way dent my enjoyment of this book, because, as you can probably tell, I loved it! There is also a slight paranormal twist to the story that I wasn’t expecting. It reminded me a little, in that regard, of Thicker Than Water by Brigid Kemmerer. I liked it, thought it was quirky and interesting. The toing and froing between our pair became a little irritating in the last quarter of the book. I also disliked the fact that Juliet was slow to make up her mind. The only other thing that grated on my nerves was how Ben initially described Juliet to Chase. He was quite patronizing and dismissive of her and I expected more from him as her best friend. I wished I could reach into my Kindle and slap him on her behalf. Lol. These points are the only reason I knocked off half a star. Overall, this is a fantastic start to what promises to be a great new NA series. I highly recommend it to fans of the NA genre and well written emotionally-charged romance. I look forward to continuing the series. Jessica Calla is a lawyer by day, author by night. Her favorite time is the kids’ bedtime, when she’s free to open the laptop, battle with the blinking cursor, and pour out the contents of her heart. Jessica is a member of Romance Writers of America, involved in the Contemporary, Young Adult, and New Jersey Chapters, and is a member of the Women’s Fiction Writers Association. She recently became the oldest marketing intern ever at BookFish Books, and was named a Team Member for the inaugural FicFest writing contest. She also mentors unpublished writers as part of the Young Adult Romance Writers’ mentoring program. Jessica’s first book, The Love Square, an adult contemporary romance, was published by Limitless Publishing in January of 2016 and continues to receive positive reviews. She can’t wait for Book 2 of the Sheridan Hall Series, She Runs Away, to be released in November 2016 by BookFish Books. Thanks for posting about SHE LAUGHS… and for your awesome review! I appreciate it! You are most welcome, Jessica. And thanks for the amazing read. I’m looking forward to continuing the series! Best of luck with it. I hope it’s a huge success for you. Next Next post: Release Day Saven Denial!